Anorexia nervosa: it’s a harsh sounding term for a misunderstood condition that mostly affects young women. One of popular music’s richest and most distinctive singing voices and half of the multi-million selling, brother-sister soft-rock duo, Carpenters, had her career cut short less than a month shy of her 33rd birthday. Karen Carpenter, unlike many other celebrities, though, did not die of a drug overdose or from alcohol-related health problems. Instead, she succumbed to issues related to starving to death. Karen Anne Carpenter entered the world on March 2, 1950. In the post-WWII boom times, her parents, Harold and Agnes, lived a typical middle-class lifestyle in New Haven, Connecticut; Harold worked for a container company and Agnes was a hausfrau. An older brother, Richard Lynn Carpenter, (b: October 15, 1946) awaited her upon arrival in the Carpenter home after her hospital birth. Richard (named for an uncle, his father’s younger brother, Richard Lynn) displayed an early musical “ear”. He recalls listening to his father’s 78-rpm discs of music ranging from classical recordings to swing band material while still a toddler. And when he was able to clearly make his wishes known, he asked his parents to buy specific recordings by artists he’d heard on the radio: Nat King Cole was an early favorite, as well as Perry Como, and others of the smooth “crooner” types. He also loved the craziness of Spike Jones and His City Slickers. [This early exposure to the softer side of pop music would inform and cement his later efforts with his own forays into music, referencing light jazz and the lush arrangements by the early greats he’d heard as a child.] Richard’s interest in music led him to want to play it, too. His first instrument was an accordion (when he was 8), but he quickly abandoned this in favor of the piano (an instrument he would become proficient enough to be considered a prodigy in his childhood), and by the age of 12 he decided he wanted a career in show business as a musician. Other keyboard instruments would follow soon enough; Richard had enough musical skill that at age 15 he was studying piano at Yale. While at Yale Richard was part of a jazz trio (piano/bass/drums) that managed to play a few shows in and around New Haven. The Carpenters (this typical Eisenhower-era American white-bread family of a mother, father, and two offspring) lived quietly. Richard, introspective as a child, tended to spend much time playing the piano and listening to music either on the radio or on records. She was friendly and personable and had many playmates outside the home, but she was extraordinarily close to big brother, Richard (though living in his shadow somewhat—he developed his talent early and tended to be the center of attention then). The teenaged Richard Carpenter went to high school in Downey and while there he enrolled in University of Southern California to continue piano classes. Offered a chance to get out of high school physical education classes by joining the marching band Richard couldn’t take advantage of the situation—the piano is not an easily transported instrument on a sports field or for marching in formation. However, the high school’s band director was impressed enough by Richard’s playing that he offered the boy a slot playing piano in a revue of Gershwin he was staging for the school, and this turned into a spot in this man’s side combo, where Richard was able to play out regularly. Karen, meanwhile, was blossoming into her own person. It wasn’t until after the Carpenters moved to Downey that the teen Karen took any interest in music (whereas Richard lived for music, for Karen it had only been incidental in her life). Through Richard’s activities, however, Karen also developed a love of music and wanted something to play herself. She decided to try out for the school marching band and was given the glockenspiel. After working at it a bit and practicing with her band mates she became more interested in the drums, particularly the playing style of one of the other band members. But Karen was also developing not only into a little drummer girl but into a young woman. And for some reason she had it in her head that she was overweight for her age. This probably stemmed from the fact that in 1964 the vanguard of female models seen in print ads and on television were thinner and thinner, culminating in the late 1960s with the excruciatingly scrawny and emaciated looking Twiggy (runway model; still living) and Edie Sedgwick (socialite New York scenester; died in 1971 of a barbiturate overdose) as the “ideal” female forms. Credit: YoutubeYoung Karen perhaps began to notice this trend. Maybe some of her friends were thinner than she—this was California, after all, more particularly Los Angeles the home of Hollywood and the “beautiful” people. Regardless of how Karen came to believe she was “fat”, believe it she did. She tried doing things like watching what she ate. Her exercising increased. The group signed up for an annual battle of the bands that played at the legendary Hollywood Bowl in 1966. Karen sang sparingly for the group on occasion, but for the competition they went with an instrumental version of “Girl from Ipanema” and a song of Richard’s called “Iced Tea”. On June 24, 1966, The Richard Carpenter Trio took first at this showcase; they were approached by RCA records almost immediately, and they began cutting sides for the label (cover tunes with some of Richard’s classical/jazzy touches applied, and one Richard original). In Los Angeles, many people were struggling musicians, and Richard was friends with some of them. A bassist he knew, Joe Osborn, had a garage studio in LA that others used for recording or sounding out. [The studio burned in 1974, and all the master tapes recorded there by many artists were lost, including some by those of Jan & Dean.] Osborn had also started a record label called Magic Lamp Records, and he was in the market for talent to work on the label. While there is no doubt that Osborn meant no harm (and was perhaps lamely being what he thought was complimentary), there can also be no doubt about the reception his off-the-cuff remark had with Karen. The chubby little girl, Karen Carpenter, was devastated. Almost all women who are anorexic also stop having menstrual cycles—this secondary condition is called amenorrhea. This bodily change comes about because women need a certain percentage of body fat to conceive (the body “knows” it has enough fat reserves to at least get pregnant and maintain energy while being stripped of valuable nutrients by a growing fetus). Women with anorexia have no such fat reserves, and their bodies give up menstruating as there is no need to prepare a uterus for implantation of a fertilized ovum when the body “knows” it is in no condition for pregnancy to occur. Anorexic women deny themselves food, or eat very sparingly. A related condition is called bulimia. This is an eating disorder wherein a woman will eat food, often to excess, and immediately afterward will force herself to vomit, either by sticking a finger in her throat (engaging the gag reflex, with vomiting as a result) or by using things such as ipecac syrup (to induce vomiting). The condition is often disparagingly referred to as “splurge ’n’ purge” or “scarf ’n’ barf”. The finger preferred by any bulimic to induce vomiting is usually called (morbidly) “the trigger finger”. One of the signs of bulimia (other than obvious, sudden, and unexplained weight loss) includes unusual longitudinal skin striations on the trigger finger from repeated daily scraping across the bulimic’s incisors as the finger is quickly withdrawn from the mouth. Further evidence of a bulimic is bad dentition—repeated regurgitations result in tooth enamel erosion from ejected stomach acids (multiple times daily). While not every anorexic is bulimic, most bulimics exhibit anorexic behavior, first starving themselves (the anorexic behavior), then binge eating, resulting in the bulimic behaviors of purging. Karen Carpenter, still living at home at age 17, was 5’4” tall (about 163 cm) and weighed 145 pounds (roughly 66 kg). While this may be around 20 to 25 pounds overweight for her height and gracile frame, she was by no means even close to being grossly fat, let alone obese, by mid 1960s’ standards (never mind about being “large” by today’s hefty averages—she would be considered, at her normal weight, downright thin compared to what one sees at every turn in today’s sloppily overweight teens girls). She grew increasingly anxious about her body and her weight. Karen’s concerns were addressed by her obliging mother, and Karen was taken to see a doctor. This man, in turn, put her on a new, faddish diet of the times called the Stillman Diet. The Stillman Diet was invented by a medical doctor, Irving Stillman, in 1967. Much of the diet made sense (high-protein, low carbohydrates, plenty of water), but one aspect was disastrous. Unlike a later, similar version of this diet (the Atkins Diet, high-protein, low carbohydrates) the Stillman Diet strove toward no fat ingestion. Despite the reputation fat has, the human body needs a certain amount of it to remain stable and healthy. It is fat reserves (as pointed out above) that allow women to become pregnant. It is fat the body relies upon as “food” during times of little or no sustenance. Finally, if no fat is taken in, the human organism uses every other source of fuel it has available before completely exhausting its fat reserves (regardless of how little fat remains, the body still tries to hold some in reserve). Then, as the process continues, the body enters “starvation” mode, cannibalizing its muscle tissue for energy, shutting down certain organs, and using available fat and other internal nutrient supplies to “feed” the more vital organs, such as the heart and the brain (and when starving, the body will cut off supplies to every other major and minor bodily organ and function—including the heart—to keep the brain alive before death finally occurs). The Stillman dieter was allowed lean beef, veal, chicken, turkey, and fish. Non-fat cottage cheese or non-fat milk was also allowed, and eggs were okay to eat (high in protein). Any herb and spice—including salt, pepper, and “hot” sauces—were also okay as they contained little in the way of carbohydrates or fats. Verboten were condiments that contained fat. Also forbidden were butter and salad dressings (both of which contain fats and oils, whether animal or vegetable). Beverages with no calories (such as coffee or tea—if unsweetened) were allowed, as were the few low-caloric soft drinks of the day (Diet Rite, Tab, and Fresca spring to mind as the options in the late 1960s). Another interesting facet of the Stillman weight loss plan that was revolutionary for its day was the requirement that the dieter eat six small meals daily instead of the traditional three larger ones. This is actually a very good idea for anyone dieting as it allows them to eat at shorter intervals throughout the day without getting so ravenous between meals they overeat when meal time comes. Furthermore, recent studies have shown that by eating smaller meals throughout the course of the day a person’s blood sugar and energy levels can be maintained more steadily (good for people with Type II diabetes) and can lead to healthy weight loss as well (by providing small, non-gluttonous portions of food). The Stillman Diet had been promoted as a “lose weight quick” scheme. Karen Carpenter, bound to lose the weight she felt was “too much” as quickly as she could, adhered to the Stillman Diet with almost religious fervor, drinking her half-gallon of water daily, watching her food intake, and following the plan to the letter. The year before she started her diet regimen, Karen had cut four songs for Joe Osborn’s newly-minted label, Magic Lamp Records, in 1966. Because she was a minor, her parents had to sign a contract on her behalf (on May 13, 1966) to allow her to record for the Magic Lamp label. Of the songs she cut, two were selected, “I’ll Be Yours” b/w “Looking For Love”, for release as a single. [Both songs were written by Richard; the performance is credited on the single as a solo by Karen Carpenter. She played drums on the songs, too.] This 45-rpm disc was released in a limited run of 500 copies, but failed to garner much interest. [The disc is very rare and highly collectible—a lone copy that found its way to eBay in recent years sold for almost $1800 US. Magic Lamp Records folded within a year after its debut. ]The RCA deal after the win at the Hollywood Bowl soured quickly. Wes Jacobs’ contribution to The Richard Carpenter Trio, in addition to stand-up bass, was the tuba! And RCA saw no future (after listening to the three demos—two covers and a Richard original—the Trio recorded) in a jazz band that highlighted the tuba as one of its main “voices”. Richard, Karen, and Wes were offered $500 to sever their contract with RCA, which they took. The Richard Carpenter Trio split up at that point (Wes Jacobs went on to Julliard). Credit: Downey High SchoolRichard and buddy John Bettis took time out to play at Disneyland (with Bettis on banjo and Richard on piano) as a cornball musical act playing turn-of-the-century tunes at Coke Corner on Main Street, USA. Because the pair often included contemporary or oddball tunes outside the “approved” standards, Disneyland fired them after four months. Karen, Richard, John Bettis (who mostly wrote songs), and several others from Long Beach State (where Richard had been in classes) formed a group called Spectrum. They played around and developed a small following. It was around the time of forming Spectrum that Karen had gone to see a doctor about her perceived weight issue. It is likely that because she was being placed in a more central position as a vocalist—and thus more visible—she became increasingly self-conscious about being “the little chubby girl”. The Stillman Diet worked for Karen—she lost 25 pounds in the six months following the start of the diet. [This is a healthy average loss of about a pound or so per week.] Her weight dropped to a svelte 120 pounds, and she looked great. Credit: YoutubeMeanwhile, Spectrum was drawing attention, with Richard and John Bettis putting more effort into writing original material instead of covering others’ songs. Karen’s vocal skills were called into play more often as Richard wanted to get away from the purely instrumental sounds of his previous efforts. She had a rich and deep singing voice for a woman, and her tone in those years was different from what was mostly heard on radio (the only other popular female singer at the time with such a deep singing voice was Cher). Truly believing Richard had hit upon a winning formula of personnel and style Joe Osborn had him and the rest of the band come back to his studio to cut some demos to shop around. Three songs were cut, all originals. Richard had been mulling a name change around that time and he decided (with Karen’s input and blessing) to name the band simply “Carpenters”. [They are officially “Carpenters” not “The Carpenters”.] With this done, the demos were made available for local A&R men. No one was biting, though, and Carpenters played as much as they could while still shopping around for a record label. Herb Alpert, (the “A” in A&M Records), had one of Richard’s demo tapes cross his desk in 1969. A virtuoso trumpeter, Alpert was a successful musician and recording artist himself with his pop-jazz, Mexican-flavored, instrumental LPs selling millions. Herb liked what he heard, and got the group to come in and see him. Jerry Moss, (the “M” in A&M Records) wasn’t so sure, and he was a bit reluctant to add Carpenters to the A&M roster. However, Herb Alpert forced the issue and Carpenters were signed to A&M on April 22, 1969 (at 19, Karen was still considered a minor, and once again her parents had to sign on her behalf). Their first outing for A&M was tepid as they were still feeling their way. Released in November 1969, the LP, Offering, carried an interesting version of the Beatles’ “Ticket to Ride” as its lead-off single. In Carpenters’ hands the rocking “Ride” was slowed down and became a lushly orchestrated ballad. It was a minor hit. And in short order, when Carpenters became internationally recognized, this album was reissued under a new title, Ticket to Ride (to capitalize on the single’s success). The disc featured ten tracks written or co-written by Richard, and three cover tunes. And—in an artistic move that would never be repeated on subsequent Carpenters’ albums—the lead vocal duties were shared between Karen and Richard (in later efforts all lead vocals would be handled by Karen). Carpenters would go on to become the biggest-selling act of the 1970s, with many hits (some #1’s and multiple entries in the Top 10 and Top 40). Scattered among the originals written by Richard (or by Richard and John Bettis) were covers given new life by Karen’s contralto voice and Richard’s amazing skill at arranging. One of these covers was “Superstar”, an iconic performance by Carpenters that is the quintessential version of this song (written by Bonnie Bramlett and Leon Russell in 1969). The original working title of the tune was “Groupie Song”, and it is about a female groupie waiting for her “music man” to come back through town again. The song was covered by other artists before Carpenters. Among these was the first recording, “Groupie (Superstar)”, credited to Delaney & Bonnie and Friends Featuring Eric Clapton as a B-side of a Delaney & Bonnie single. An ad hoc live recording by Rita Coolidge, then a back-up singer for a touring Joe Cocker, was released on his live album, Mad Dogs and Englishmen, in August 1970. This track was listed as simply “Superstar”. Bette Midler did it in August 1970 on Johnny Carson’s Tonight Show, and Cher recorded it in September 1970. Richard had heard Bette Midler do the song on Carson’s show and fell in love with it. He ran it to ground, but Karen initially felt ambivalent about it, and reported later that originally she did not like the song one bit. It grew on her after Richard’s re-arrangement was completed. It was recorded in early 1971 and released in August of that year. It rose to #2 on the pop charts and cemented the orchestrated, easy-yet-powerful pop/vocal style Carpenters would ride to their own superstardom over the next several years. Carpenters had an eight-week summer replacement TV show in 1971. They toured and recorded. Karen had maintained her 120-pound weight since starting the Stillman Diet in 1967 up until 1973. Even during those times after rehearsals or a recording session if the band went out for burgers or whatever afterward she never succumbed to the junk-food temptations, sticking with her dietary regimen. It was perhaps the increased visibility of her role in the band as front woman, center stage, however, that maybe made her decide her body—as it was at its quite comfortable 120 pounds (around 55 kg)—was somehow not good enough or not thin enough. She employed the help of an exercise “guru”, and she began an exercise regimen that, while shedding fat weight, added muscle bulk (causing her to weigh more on a scale, though muscle mass is healthier than fat mass). She was appalled by the weight gain (not caring that is was in a more compact form as muscle). She gave up the exercise regimen and assured those around her that she would return to “normal” dieting. It is at this point the true anorexic behaviors set in. Because of Carpenters’ popularity it is visually documented (and easily seen) how quickly Karen Carpenter, once in the throes of full-on anorexia (the denial of almost all food, not just fattening foods; the use of laxatives; pill intake; and the secretiveness that goes with eating disorders) deteriorated. An excellent song written by brother Richard and partner John Bettis, “Yesterday Once More”, was a major hit in 1973 after its release in mid May of that year. It hit #2 on the pop charts. In a later 1978 televised performance of the song (with Richard at the piano and Karen sitting opposite with her arms resting on the piano’s top) she had clearly developed the skeletal look that would become the norm for her for the remainder of her life. Her head seems outsized perched atop her obviously emaciated body. As a point of reference her left arm looks so thin it appears to be nothing but bone with a shirt sleeve over it. Further visual records show Karen learning to disguise some of her downward spiral by wearing billowy clothing (slacks that gathered snugly at the waist but had ballooning legs, blouses or jackets with ample sleeves and wider shoulders, etc.). Richard and Karen appeared on television often during the early 1970s, and in each successive appearance, she looked just a bit more hollow-eyed and scrawnier, though hiding it relatively well. Again, this early part of the decade was a time when the public knew little or nothing about anorexia or what it looked like. By late 1975, Karen weighed only 91 pounds (about 41 kg). She was so drained she had to take a couple months off to recuperate, and the group had to cancel some scheduled shows. Karen, surprisingly, still lived at home with her parents (up until she was 26). Richard had moved out some time before, and he and Karen bought some apartment buildings together as investments with their Carpenters’ earnings. Karen and Richard did a one-off TV special in 1976 (that featured, among others, the late John Denver as a guest). In a musical skit on this show Karen re-visited her “origin” story (hating the glockenspiel in marching band, wanting to play drums) that segued into her manically running around the studio where multiple drum kits were set up on platforms. As a light jazzy backing track played, she raced around keeping time on the kits; then, with some trick camera work, the home audience saw multiple Karens, drumming on different kits, playing against herself as it were. She was clearly having a good time doing this, and she looked as if she might have gained a pound or two versus some recent appearances, too. In 1976 she bought two apartments in Century City, gutted and merged them, and had them converted into one large condo into which she moved, leaving her parents’ home for good. She managed to put herself out there romantically, too, during the mid 1970s. She “dated” some up-and-comers of those years, men like comedian Steve Martin and TV stars Mark Harmon and Tony Danza. Carpenters had a strong fan base, but in the face of punk, New Wave, an emerging music called “rap”, and the remnants of disco their musical style was perceived as passé by the end of the 1970s. While never critical darlings (though much of their earliest works were critically well-received, later efforts were panned many times) they also found their record sales slipping as consumers abandoned them. Willing to try anything to regain their throne Carpenters recorded what was one of their most adventurous outings (and also, perhaps, one of their most excruciating and embarrassing). Needless to say, any attempts to contact extraterrestrials by IFSB using their methods were epic failures. A year after its establishment, Bender shut IFSB down and disappeared from the public eye. Nine years later he came out publicly and claimed three mysterious “men in black” had visited him and forced him to stop his activities. “Calling Occupants [. . . ]” clocks in at over seven minutes. It was written, and first performed, by the Canadian prog-rock band, Klaatu, in 1976 (whose version is also over seven minutes long). The tune is a paean to the IFSB’s attempts to contact extraterrestrials and incorporates the “psychic” group’s “telepathic” message as part of the song’s lyrics. It’s a typically flatulent, overwrought, mid 1970s art-rock song. In Richard Carpenter’s hands, it rises to something larger-than-life. He used 160 musicians to make the record, and while his arrangement is fairly “traditional” in most respects, there is an odd (and jarring) cabaret-style musical break in the middle section of the song (in the original as well, but campier in Carpenters’ version). Karen’s vocals are alternately subtle and soaring, and are much too serious and shimmering for such a goofy song. More interesting than the track itself, though, is a film they made, a pre-MTV concept performance. The little movie opens with a radio-station DJ (played by Carpenters’ guitarist, Tony Peluso) taking requests on the air. An alien voice calls in, there is a bit of comedy as Peluso tries to understand what is being said, then the scene cuts to Karen against a star-filled background as she delivers the song’s opening lines quietly. Per her norm by then, she wears a very baggy pants suit, cinched tight at the waist, which billows out from her body, hiding her scrawny frame. For its time (and considering that it was Carpenters and not Steven Spielberg putting this film together) it employs quite a few (for its day) decent special effects in the form of alien beings, starships, galactic vista, and superimpositions of the band against various celestial backgrounds. While it looks a little hokey today, the film was the best thing back then about this otherwise horrible song. While Karen had “dated” her share of men (among them Alan Osmond, of The Osmonds’ dynasty) the nature of her relationships is not known (meaning it is unclear—and unimportant—if she was sexually intimate with many men or few men or none at all during the 1970s). She had always expressed a desire to have children and in 1980 she met a man whom she thought could give her the stability of home and hearth she yearned after. This man, Thomas James Burris, was a real-estate developer, so he had his own means of support and didn’t need her money to keep him. The two were simpatico enough that within only a short time after meeting they married on August 31, 1980. Karen was 30 and entering her first marriage; Burris was 39 and divorced. He also had an 18-year-old son, and Karen took to the boy as a good, caring step-mother would. The wedding ceremony was in the Beverly Hills Hotel, and Karen sang a new song for the occasion (“Because We Are in Love”, released later in 1981). She apparently must have been in love because in one of her wedding pictures she looks positively radiant, and it is clear she had gained a few (much-needed) pounds before her wedding. 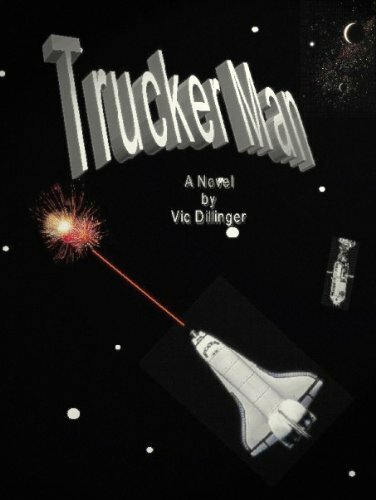 Her face was fleshed out, and one can barely see her clavicle protruding from her open-necked dress. Credit: blogspot.comUnfortunately, Burris also had a secret. With at least one child to his credit he had gotten a vasectomy some time before meeting Karen. He did not advise her of this particular little factoid, however, and when she found out she was crushed. [It didn’t matter that in her anorexic condition there was no way she could have become impregnated, and she may not have known that particular physiological fact.] The sin of omission—and this was a very big deal to her—was enough to end the marriage (at least in practice) after 14 months of presumably wedded bliss. In 1977, Carpenters had been nominated for a Grammy® for “Calling Occupants [. . .]”. She also attended the Billboard Music Awards that year; while dressed well and exuding her normal effervescent personality Karen weighed only 83 pounds (almost 38 kg). Richard had developed a dependency on Quaaludes (a very powerful sedative), and in 1979 he took time out to get clean. During this down time (and before getting married) Karen had cut a solo disc for A&M; it was a project she had longed to do for some time that was finally green-lighted by the label. This record was more raucous than Carpenters’ material and was heavily inflected with rock and disco beats. A&M (and Richard Carpenter) didn’t like it, though, and shelved it (it was released in its entirety only in 1996). A&M, in a totally cantankerous move, charged the group, Carpenters, $400,000 against future royalties for the alleged cost of recording Karen’s disc (an outrageous sum). After Richard got out of re-hab, Carpenters continued their studio work, as a group, and one of their last hits was a cover of the old Marvelettes’ song “Beechwood 4-5789” (in 1981, from their last album, Made in America). It was a fluff piece, but Karen’s vocals were crystalline as always. Her body was ravaged by her years of crash dieting. In addition, she had hurt her health by taking medications she didn’t need (such as thyroid pills) to speed up weight loss. And she never really got the full benefit of what little she did eat thanks to excessive use of laxatives (expelling food stuffs before they had any real chance of her body’s absorbing the nutritional elements it needed from what she ate). An interview on ABC-TV’s “Good Morning America” in August 1981 with Karen and Richard shows just how horrific anorexia can be. Richard, despite his years of Quaalude addiction (and having cleaned up in a Kansas re-hab facility in 1979), looked to be the poster boy for perfect and robust health as he sat on a sofa next to the gaunt Karen. Karen’s hair appeared to have thinned and was teased out, away from her head, in a frizzy halo, probably in an attempt to mask some hair loss. She wore a hideous oversized women’s suit with boxy shoulders, and a blouse with a very high and close collar, covering most, but not all of her neck. Neither Karen’s clothing nor her hair could hide her face, though. She looked positively ghoulish—her skin was sallow, tight on her skull, every bone-line beneath visible. Her eyes were sunken, and despite the studio makeup she still had dark circles beneath them. When gesticulating as she spoke her hands fluttered into camera range, displaying talons of little more than (literal) skin and bone. It is clear that the interviewer, Joan Lunden, was a fan of both Richard’s and Karen’s, but she carried a grave expression on her face during the roughly four minutes she spoke with the duo. It is as if she saw something was clearly amiss with Karen, and she wanted to ask about it, but was afraid to do so. It is a painful interview to watch—Karen, while ebullient as she always was, looked drained and ghastly. She took a couple of weeks off from her therapy sessions to go back into the studio. The last song she worked on was called “Now”, and it went into the can in April 1982. During the time she was away from therapy she reverted to using laxatives and the unnecessary thyroid pills, losing more weight. A short time after the recording sessions, in September 1982, she had an episode that led her to call her therapist, telling him she was having an irregular heartbeat and was feeling dizzy. This led to her admittance to a hospital the same month. She was immediately recognized as literally starving to death and hospital staff hooked her up to an IV to pump vital nutrients into her emaciated body. She remained in the hospital for eight weeks and during that time she gained 30 pounds (almost 14 kg). Released from the hospital in November 1982, Karen went home. She felt as if this new-found life was good for her and she went about the job of getting back to work and finalizing her divorce. During early December 1982, she performed Christmas carols at a school in Sherman Oaks for her godchildren (of her brother’s marriage in 1984) and the children’s classmates. For a woman whose body (and more particularly her heart) was strained by starvation the weight gain, as suddenly as it had come upon her, was too much. Karen was at her parents’ house in Downey, California, and on February 4, 1983, she suffered from heart failure. She was transported to a local hospital where she was pronounced dead twenty minutes later. She was only 27 days away from her 33rd birthday. Ironically, her divorce from Burris was scheduled to be finalized that day. Karen’s cause of death, as recorded by the Los Angeles County coroner, was from “heartbeat irregularities” brought on by chemical imbalances associated with anorexia nervosa, with total heart failure being the primary cause. Karen Carpenter did not live in a bubble. The world knew her and loved her, and she was surrounded by friends and confidantes at every turn. The people around her surely knew what was going on with her, but what they knew and when they knew it is a matter of conjecture. For example, the men she dated (Mark Harmon, Steve Martin, Tony Danza, Alan Osmond, et al)—did they all think she was merely skinny or did any of them suspect something was seriously wrong with her? Furthermore, the one man in her life with whom she had the closest relationship, her brother Richard, obviously knew something was going on with her. When the LA County coroner released an autopsy report that alleged she had inadvertently poisoned herself with an overdose of ipecac syrup (to induce vomiting) both Richard and her mother Agnes came to her defense on that issue. Both claimed they had never found empty ipecac bottles in her apartment (meaningless, as she could have easily disposed of them after use). More telling, though, was Richard’s assertion (which makes perfect sense) that Karen would not have resorted to vomiting as a weight-loss method since it would have destroyed her singing voice (stomach acids eroding her vocal cords and larynx from frequent regurgitations). But, he let the cat out of the bag (concerning what he knew of her condition) by stating categorically that he knew she relied on laxatives to keep her weight down. This in no way should be construed as an indictment against Richard Carpenter. While he may have been privy to what Karen was doing to herself, he not only had his own problems to deal with (Quaalude addiction) but as a lay person he could have done nothing to stop her destructive behavior. Richard was not a mental health professional, he was her brother. He loved her, but it is almost certain any advice or counsel or concerns he expressed would have been sloughed off by Karen—people in the throes of mental issues cannot and will not take advice from loved ones. Nor should Karen’s mother be blamed for her daughter’s demise. Back in 1967 when she took Karen to a doctor about a controlled diet plan she was acting in what she thought was her daughter’s best interests mentally. Karen took that ball and ran with it (though Agnes probably knew—without necessarily knowing the term “anorexia nervosa”—what was happening with Karen’s body. After all, Karen lived in the family home until she was 26). Starting in the late 1980s a resurgence in interest in Carpenters rose from an odd quarter: cutting-edge musicians. People of a truly musical bent recognized Richard’s skills as an arranger and composer and Karen’s vocal abilities. One of Karen’s biggest fans was Kim Gordon, bass player and one of the founding members of Sonic Youth, a group that defied all standard musical conventions and thrived on atonality and down-tuned guitars and dissonance. Sonic Youth has always worn its love of certain pop culture icons on its sleeve (Madonna, for example, was one of their favorites, immortalized on the rare “tribute” disc of theirs called The Whitey Album). As younger artists began to discover the charms of Carpenters’ music a project was fomented as a tribute. This effort that came to life as the recording, If I Were a Carpenter in 1994, found some of the world’s most cutting edge acts of the time (Shonen Knife, Babes in Toyland, et al) doing covers of classic Carpenters’ songs in their idiom (the Shonen Knife track, “Top of the World” is goofy fun, coming from these Japanese women who cut their chops on the Ramones). More to the point, though, is that Sonic Youth—featuring a true, die-hard Karen Carpenter fan in Kim Gordon—was invited to add a track to the disc. Apparently, there was some dissension among the band about this—Thurston Moore, Sonic Youth’s leader, said they would only contribute if and only if they were given “Superstar” to do. They were granted this concession and Sonic Youth’s take on this tune is amazing (they even tried to emulate the original setting of Carpenters’ formal stage setting). And while Thurston takes the lead vocal on this track, Kim (the real Karen fan) does her job by taking a quick turn on the drum kit. Regardless of what is thought about Carpenters the rock establishment has given Karen her due. In 1999, VH1 ranked her at #29 on its list of the 100 Greatest Women of Rock and Roll. And in 2008, Rolling Stone listed Karen at #94 of the 100 Greatest Singers of All Time. Finally, in a very poignant, and somewhat heart-wrenching image, a media group used an ageing software (of the type used by law enforcement to help “age” missing children as they might look now versus the time they were abducted) to give the world an image of what Karen Carpenter, had she lived, might look like in 2013 at age 63. Credit: Sachs Media Group; dailymail.co.ukIt is beautiful. Author’s Note: In recent years there has been much lobbying to get Carpenters inducted into Cleveland’s Rock and Roll Hall of Fame and Museum. They are undeniably eligible, meeting all of the Hall’s criteria for inclusion. Arguments against their nomination and induction claim their “soft rock” and bright pop sounds aren’t rockin’ enough for inclusion in this hallowed institution. Linda Ronstadt was inducted into the Rock and Roll Hall of Fame in April of 2014 (along with real rockers Kiss, Nirvana, and others). She, over the course of her entire recorded oeuvre, has two (count ’em, two) co-writing credits out of all the songs she ever performed on her recordings. In direct contrast to Linda Ronstadt (as a recording artist) Carpenters’ songs (while embracing some covers) were mostly written by Richard Carpenter and his collaborator, John Bettis. Plus, Richard’s abilities as an expert musician, composer, and arranger are undeniable. Finally, Karen Carpenter’s skills as a drummer and musical contributor as well as lead vocalist on her group’s efforts (again in contrast to Ronstadt who never played anything on her records) are similarly undeniable. And “Superstar” by itself—with its opening and lulling oboe, over-the-top horns, killer arrangement, Karen’s soaring and aching vocals (which were laid down in her first take! )—is sufficient testament to this band’s ability to not only rock but leave an indelible mark on the face of music (though this song was not written by them). Again, in contrast, none of Ronstadt’s covers (pretty much everything she ever recorded) reaches this level of greatness, and all of her work sounds pedestrian in comparison. 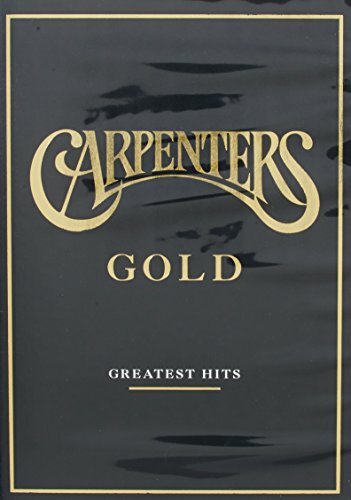 Carpenters’ global sales are well over the 100 million units mark. Furthermore, they have been honored with a tribute album, something that Linda Ronstadt has not garnered simply because any tribute album to her would in reality be a tribute album to the talents of musical greats like Buddy Holly, Warren Zevon, Chuck Berry, Lennon-McCartney, Elvis Costello, and the countless others whose material she has covered—there could be no point in such a record as tribute albums to many of these artists have been done to death. The Rock and Roll Hall of Fame and Museum has many inductees who were not “rockers” (including people from Country music, jazz, and the Swing Era, as well as behind-the-scenes people—producers, engineers, etc.—who never sang a note or picked up an instrument in their lives). Surely, then, if there is room for the likes of these people, or a Linda Ronstadt, there is room for the very talented (and the world’s most successful) brother-sister pop music duo, Carpenters. I think they’ve earned their place in that hallowed Hall. Wow. Thumbs up from me. Loads of stuff about the the Carpenters that I had no idea about. Thanks for an engaging and highly enjoyable read! Karen, like Ruth Ellis (why do women have to be so complicated?) took a lot out of me (almost 2 months of research and writing to get this done, and I'm still not finished tweaking her). The circumstances of her demise were extremely complex. 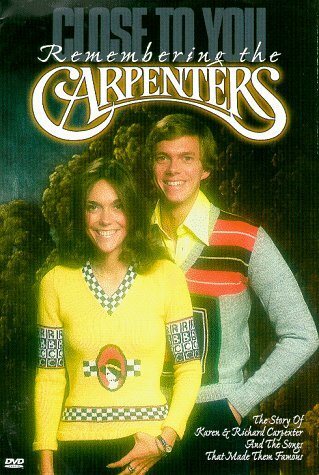 I do think Carpenters as a group has been sincerely overlooked by "the powers that be" and deserve a second look. Thank you so much for reading and commenting on Karen (she was unique). While I listened to a lot of Carpenters when I was young, I had no idea about Karen's health issues and even the news of her death wasn't a big story here. So this was a fascinating read for me. Oh yeah, when the list of Hall of Fame inductees was announced this year, I was puzzled about Ronstadt's inclusion. I even went through her discography to see if I had missed something. I hope they do honor the Carpenters soon. Thumbed and shared! Karen's death was probably bigger here in the US mostly because of not only her celebrity but the anorexia angel (people were just starting to become of aware of it in general, and now EVERYONE knew somebody who'd died from complications of the disorder (much like when Rock Hudson died of AIDS). Thanks for checking her out! Vic, I've been waiting for this article from you - and it was well worth it. I loved listening to Carpenters on the radio as a child. Karen had such a mature and kind voice - I wanted to BE her someday. It was heartbreaking to see her losing so much weight (and I caught a glimpse of her in a pastel-colored dress performing when I was 11 years old. I sensed something wasn't right with her). Yet her dress billowed out from her body (and the sleeves) and was drawn tight at the waist. Her voice was still so strong sounding, that I suppose people just silently hoped she wasn't getting any thinner under there. It saddened me so much to learned she died - especially since she was "in recovery." And, many years later (in my 20s), a dear friend of mine (working on her PhD) had to be hospitalized due to heart palpitations - related to an eating disorder in her younger days. Sadly, my friend confided in me that even when she was 'slightly underweight' the men she dated would say, "You don't need to listen to EVERYTHING the nutritionists are telling you. You look good now, don't gain anymore weight." (I still am kind of shocked by that - but I suppose the models we see on TV or in magazines portray underweight as the ideal weight). Genetically, some people are prone to be slim - and as long as menstruation is occurring, there IS enough body fat to maintain healthy hormonal balances. Yet in some vulnerable people, a chemical imbalance DOES occur - and it's an uphill battle (slow) back to health. You did an excellent job detailing her incredible life and tragic death. I do believe given the times (back then) that people - even in the medical world - weren't educated enough about how to treat longstanding anorexia. Her recovery period to gain weight should have been slower and extended over the course of a year or even two, I think. (Yet, early on, she abandoned an exercise regiment - so I have to wonder if that "may" have contributed to her heart being weaker than most women of that age). And of course, her heart had been weakened by self-starvation over many years already. Pinned, shared, Googled, thumbed, etc. Thank you. Oh and yes, she and her brother certainly deserve to be inducted into the Rock and Roll Hall of Fame. Your observations, and personal experiences via your friend with this disorder, are very welcome in the "comments" section. Others, I know, can see what a real-life (non-celebrity) can experience from that. Thanks so much for reading about Karen! Vic, I am so glad that you wrote this article...it is so much more than a biography of a talented woman who dies much to young from a horrendous mental illness. You covered all the bases of eating disorders-what they are, how they can take root, and how hard it is to recover. Anorexia has the highest relapse and mortality rate of any eating disorder. I strongly feel that in modern society with it's intense scrutinization of celebrities, she would have been hounded into treatment during her first round of rapid weight loss. The picture of her at 83 pounds, as well as the video interview, are heartbreaking. As the mother of a daughter with this disease, I know firsthand how quickly and firmly it can overtake a life. The victim does not see it...it is up to those around her (or him) to force them into treatment and pray that insurance will cover it until recovery is in site (my dislike for insurance on this issue can go on and on....). The battle takes years to overcome, and the longer the anorexic does not get treatment, the more difficult it is to treat. And the more abused the body is from the self-starvation rituals, the weaker the heart becomes. The Carpenters more than deserve to be inducted into the Rock and Roll Hall of Fame. I loved their music as a child. Shared everywhere and this is most deserving of a front page feature! I'm glad you approve. I think today, as you said, with how much more aware of certain things we are, someone would have intervened sooner. Also, you're right about not necessarily having to be skeletal as a sign of anorexia--all those years Karen maintained an exact 120 pounds had to have included some anorexic behavior (considering she also confessed to an overwhelming love of ice cream, something she denied herself mostly but would eat on occasion). Glad you liked the piece, and thanks for reading. So glad to see this on IB's front page Vic, congrats! Thanks, doll. Karen Carpenter certainly deserves a second look. I remember her remarkable voice. First time I heard her was "Close to You." Superstar is a remarkable song. What a shame the self-destructiveness took over. Eating orders are vicious addictions. Great article, thanks! I guess what is most unfortunate is that Karen realized (too late) something was wrong. Today, we all know anorexia when we see it (I went to college with a girl in my Calculus classes--majoring in Math, same as me--who was anorexic). She was beautiful and didn't know it, and she was a sickly stick most of the time I knew her. I tried to help her and I failed (she ended up killing herself a few years later). Thanks for reading and commenting! I grew up listening to the Carpenters on the radio, but I never realized that Karen was a drummer! The video of her drum solo fascinated my oldest, who is also a female percussionist. Thanks so much for sharing all of these interesting details. I learned a lot from your article. Yeah, she was a pretty decent drummer. Your daughter should read the Meg White piece I did (just do a search on Meg White here, and you'll see). Dames who drum (Kaley Cuoco, from "Big Bang Theory" included) rock my world! Thanks for reading about Karen! Tragic loss, to be sure. That is indeed true. Thanks for reading. I loved the Carpenters when I was a kid and I knew Karen passed because of Anorexia but your article taught me alot about them and their lives that I did not know. Your article is very in depth, great information and it makes the Carpenters more personal and up close! Thumbs up! I try. I think fundamentally they were good people with problems just like the rest of us. Thanks for reading! Karen Carpenter definitely had some pipes (and Peter Noone still sounds good, no matter who's backing him!) Thanks for reading. I know exactly what you mean when you say "this took a lot out of me, researching and doing this story". It does make you back off and recover some. It's not just Karen, I had to take a breather from all the death, grief, sorrow, and murder that I usually wallow in here. You find yourself so immersed in this stuff sometimes . . . I was obsessed with the Carpenters (and particularly, Karen Carpenter) as a child. My love of the song "Mr Postman" which was on an album my parents owned, led me to bug them interminably to buy some Carpenters albums for me. I even went on to learn the drums because of my obsession with her! Such a tragic loss. Thanks for writing this, I knew a lot of the details but I never had the chronology quite right. It was a great read. Good musicians can do that, inspire people to take up an instrument they find engaging. Good for you! Thanks for reading. Thumbs up, Vic. The full story with plenty of nostalgic music. Thyroid meds can upset the heart beat - that's why they are prescribed and are not handed out like smarties. My wife is on a thyroid med she has to take every day, and considering how low the mg dosage is in what she takes, I gotta believe the stuff in higher doses is potentially lethal. Thanks for checking out Karen Carpenter! Fascinating history and expose of this beautiful and talented singer-drummer. You've given the reader so many points of interest that would usually not appear in the shorter, less interesting reviews of celebrities. Your writing style is a standard worthy of emulation. Congratulations on a well-deserved top one hundred feature article. As Karen Carpenter is close in age, I could relate in so many ways to her including her struggle with weight and resulting anorexia. I grew up loving their music and still do. I'll be sharing this. This woman was so much more than what little the public saw which is why I thought it was important. I watched her appearance on "The Dating Game" on YouTube during the writing of this piece nd it was fascinating to see how cordial she was to the jerk contestants she had to face. I would have liked to have met her. Thanks for reading. What an amazing article. Wonderful job writing about Karen. She had a voice that you couldn't help but be drawn to. It's so sad that so much of her life was spent struggling as she did. 83 pounds is very scary. Very much enjoyed reading this. She was one of the greats. I hated that she went out the way she did. Thanks for reading! What a great article. I loved reading this, having been a big Carpenters fan in my youth. Karen Carpenter is the reason I learned the guitar and my biggest wish was to be her backup singer. My daughter also loves her and, at 21, her favorite kareoke piece is Mr Postman. Rough "Postman" was a hit originally for the Marvelettes in 1961, Carpenters' version is probably the better one.It's Karen's voice that makes it. Thanks for reading about her. "anorexia nervosa; bulimia; amenorrhea." Britannica Ready Reference 2003. 2002.